Meade 127mm. 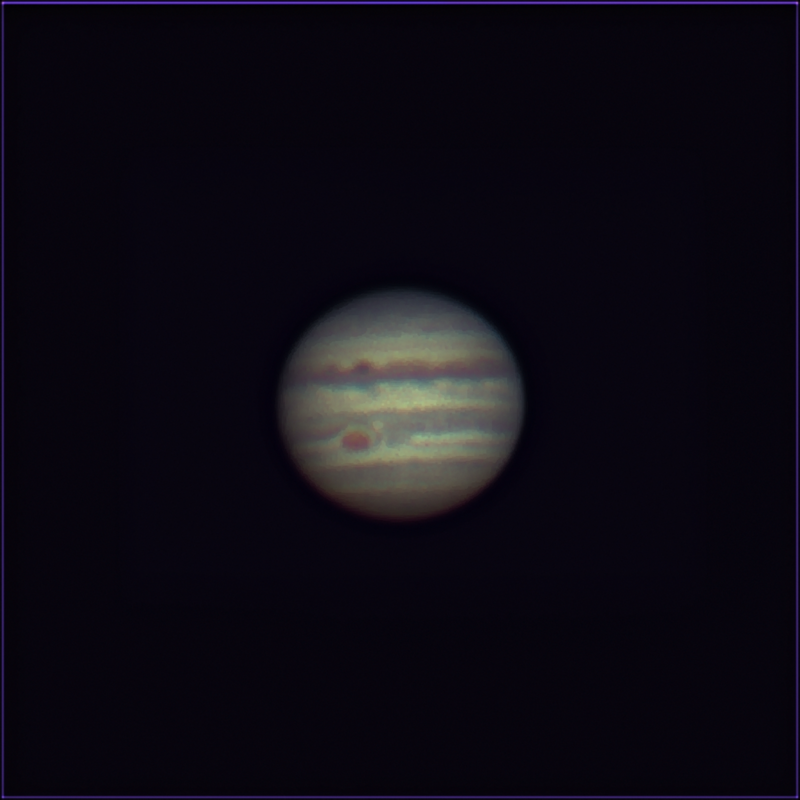 Apo-refractor with 3x Barlow and QHY5-11 colour planetary camera. Early hours of the 20th. of April 2018. Jupiter very low just above neighbour's roof so a bit blurry. GRS on display and very noticeably smaller than it was a few years ago.